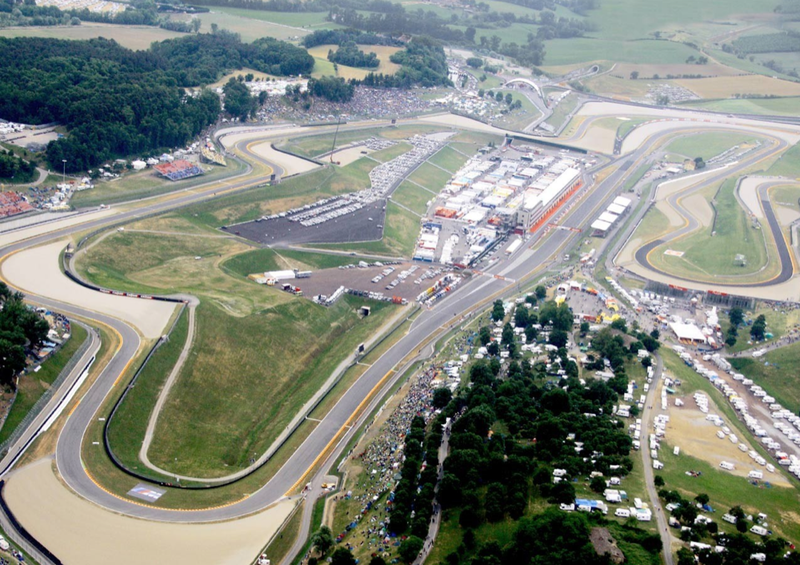 Okay people, France is behind us and it’s time to move to the premier European location (and ultimate party location) for MotoGP – Mugello. Nestled in the heartland of breathtaking scenery (i.e. the stunning Italian lady types) and complete with a multitude of MotoGP fanatics (the Rossi Fan Club), Mugello is always a cracker of a GP. Back when I was a kid, my friends and I used to ride our BMX bikes with youthful abandon and occasionally abandon our bikes at full chat. We used to call it “a ghosty”. The aim being to leave your bike rolling for as long as possible without you being on it. 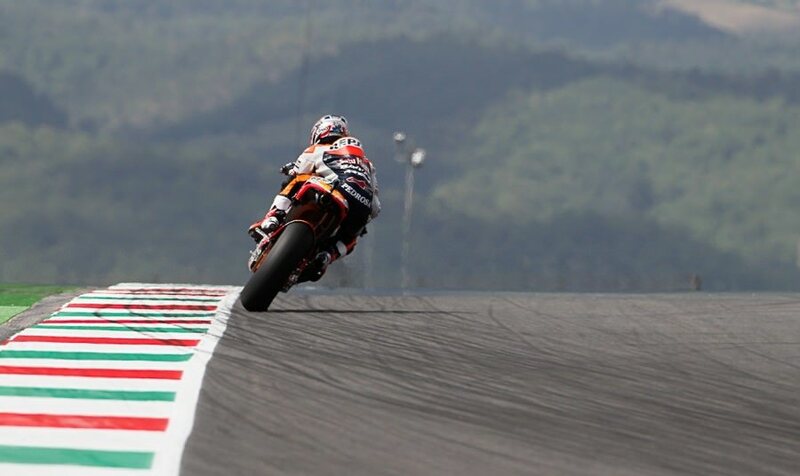 At Mugello, my inner 8-year-old looked on in admiration as Marc Marqueuz of Repsol Honda attempted the ultimate ghosty at 340km/h. It’s the fastest crash I’ve seen since the likeable noodle of Shinya Nakano attempted an equally impressive ghosty on the Mugello straight in 2004. Though to be fair Nakano had help from an exploding Bridgestone tyre, so Marquez’s effort seems more heroic. In other news Dani Pedrosa on the other Repsol Honda managed to nab pole position from Jorge Lorenzo on the Yamaha both of whom were in front of surprise package of Andrea Dovizioso on the Ducati which was looking decidedly un-nail like. 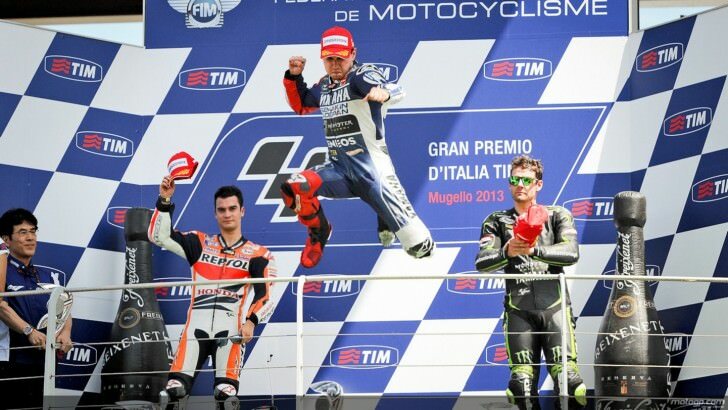 As the lights went out it was the Lorenzo first up into the smash-fest that usually occurs during the Mugello GP. Pedrosa had run a little wide in Turn 1. Now I should clarify, that a little in Pedrosa terminology is micro-scopic in real world terminology. Not to be fazed though, Lorenzo used the tried and trusted Senna technique of barging into any space available and hoping for the best. Pedrosa wisely chose to sit up, allowing Jorge to take the lead. Two corners later, things got really real (for real!). Fan favourite/Italy’s favourite, Valentino Rossi tried to ride his Yamaha around the outside of nobody’s favourite Alvaro Bautista on the Go&Fun Honda. Alvaro, seeing the gap in front of him being closed by Rossi, attempted to seize the opportunity to stay in front. Unfortunately, Bautista T-boned the Yamaha instead of deftly reclaiming the position, sending both riders and their machines tumbling into the barriers. As the TV screens replayed the incident and the riders reactions the circuit fell into stunned silence. It was as clear as day, an affront to every MotoGP fan and riders sensibilities, in broad daylight..Bautista’s hair. Clearly the hair had been taken from a ’90s era boyband. Retinas burned and eyes were scratched as the coverage continually cut to the offensive blonde mop. 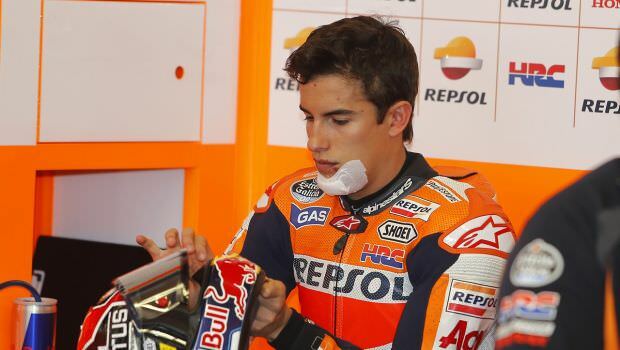 Dorna and race direction are understood to be taken action to ban this type of follicle fiasco in the future. Back to the actual race and to be honest it was a pretty mundane affair. Pedrosa was following close to Jorge for most of the race when all of a sudden Lorenzo seemed to discover another gear on the Yamaha and just pulled away for a solid win. Amidst his joy at returning to the top step fans were subjected to another vomiting inducing rendition of Jorge’s “The Cobra” which looks more like ‘The retarded Ostrich’. Pedrosa continued to slow eventually being caught and passed by the injury laden Marquez who was on course for a record 5th podium. However Marquez not crashing at Mugello was like Max Biaggi not whinging at a MotoGP and Marc duly obliged by skittering off his Honda, thus proving that there is a limit to the amount of lean angle one can hold. This promoted Spinning The Rear favourite Cal Crutchlow to the final podium position on the Tech 3 Yamaha. Needless to say the Peroni took a hammering at the bar that evening. 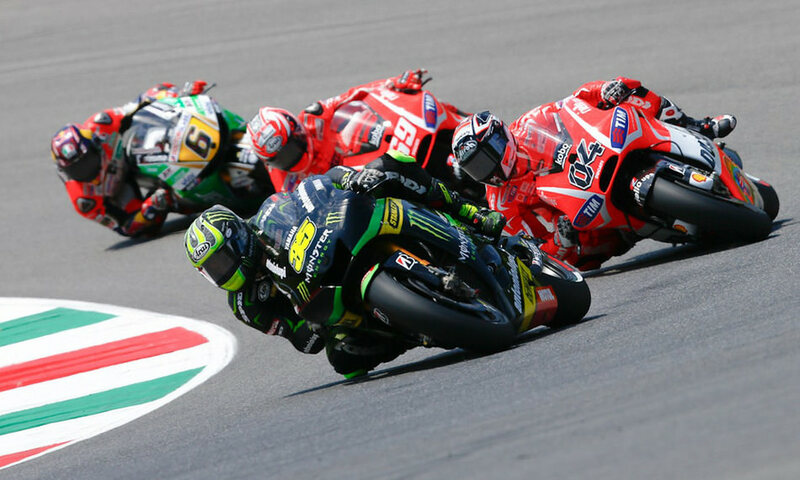 At the CRT end it was once again the Power Electronics Aspar Aprilia of Aleix Espargaro that got the win ahead of Bradley Smith who although riding through pain was on the same prototype bike which adorned the bottom step of the podium. Worrisome times for the Brit. Next up is a Catalyuna in Spain (again). I’ll see you there.